Things were looking normal for Federer at 5-4 in the third set with an advantage to break Anderson and clinch the game but his impeccable backhand failed him and Anderson started building slowly and steadily. Anderson managed to save three break points before clinching the set 7-5. Federer’s last defeat after taking the opening two sets came way back in 2011, and this was only the third time in his twenty years of journey in Grand Slams. 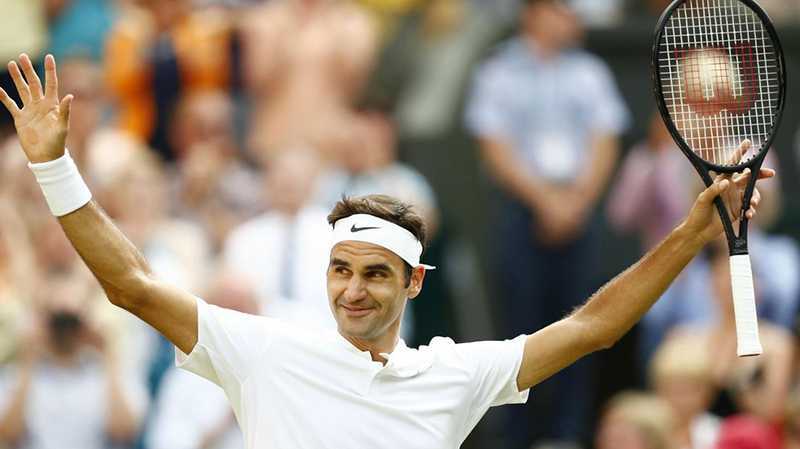 Federer came into the match with a 32 consecutive set wins, the count of which rose to 34 before falling spectacularly and much against the imagination of fans all around the globe. Also, Federer had an unreal 81 games streak of holding his serve at any grass-court major tournament, which grew to 84 before Anderson broke him an astonishing four times. “I just kept on telling myself I have to keep believing. I kept saying that today was going to be my day, because you really need that mindset taking the court against somebody like Roger.” expressed the elated Anderson after creating history. This edition of Wimbledon is producing some all-time classics, Anderson against Federer wasn’t the only thriller of the day. Fans were biting their nails during Rafael Nadal’s roller coaster 7-5, 6-7, 4-6, 6-4, 6-4 win over the Argentine star Juan Martin Del Potro. Jose Isner from the United States reached his first ever Grand Slam final with an impressive win over Milo Raonic (7-6, 6-7, 4-6, 3-6). Former Champion and making his comeback from injury, Novak Djokovic also booked his semi-final berth with a 6-3, 3-6, 6-2, 6-2 win. Anderson will face Isner in the first semi-final while Nadal would face Djokovic in the other blockbuster semifinal on Friday, July 13.